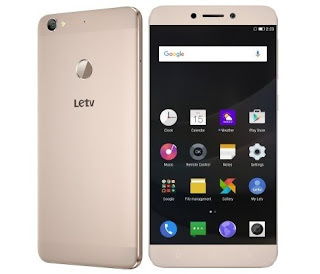 LeEco, the Chinese Internet conglomerate better known by its former name Letv, has launched its first products for the Indian market. The phone comes with a 5.5 inch full HD display with a resolution of 1080 pixels by 1920 pixels and also powered by 2.2 GHz octa-core MediaTek Helio X10 processor and it comes with 3 GB of RAM. the phone packs 32 GB of internal storage cannot be expanded, the Le 1s packs a 13 MP primary and 5 MP front camera. It also runs Android 5.0 lollipop and powered by 3000mAh non removable battery. The Le 1s is a dual GSM SIM smartphone that accepts Micro-SIM and Nano-SIM; connectivity options include Wi-Fi, GPS, Bluetooth, 4G (with support for Band 40 used by some LTE networks in India) and sensors on the phone include Proximity sensor, Ambient light sensor, Accelerometer, and Gyroscope. Display -- Size : 5.5 inch Full HD display.